A popular holiday destination for Victorian middle-class families, the resort still emits a sedate, old-fashioned air. Its long, crescent-shaped seafront promenade is sheltered by rocky headlands. 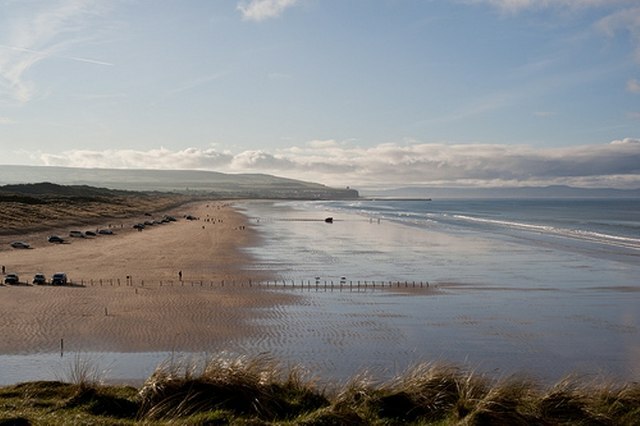 Just west of town, and accessible by road or by a Cliffside walk, stretches Portstewart Strand, a magnificent, long, sandy beach, protected by the National Trust. On Ramore Head, just to the east, lies Portrush. The East Strand is backed by sand dunes and runs parallel with the world-class Royal Portrush Golf Links. You can stroll along the beach to White Rocks – limestone cliffs carved by the wind and waves into caves and arches. The North West 200, the world’s fastest motorcycle road race, is run between Portstewart, Coleraine and Portrush. The race is held in May in front of 100,000 people. Portstewart is a must see that is well worth a visit on your Ireland tours.